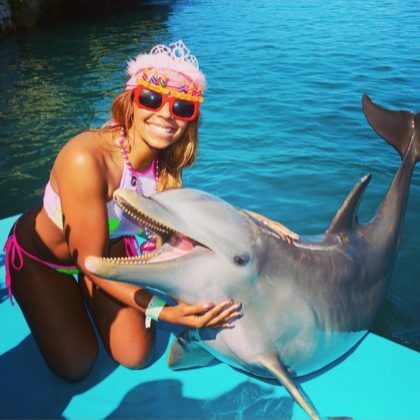 Ashanti﻿ celebrated her 26th birthday in Puerto Plata in October 2016 with bikini time, group dinners, and a date kissing a dolphin. Newly 36-year-old ﻿Ashanti﻿ was “Feeling super blessed & having the best time in Puerto Plata” in October 2016, enjoying her “Bday turn up” at Lifestyle Tropical Beach Resort & Spa. 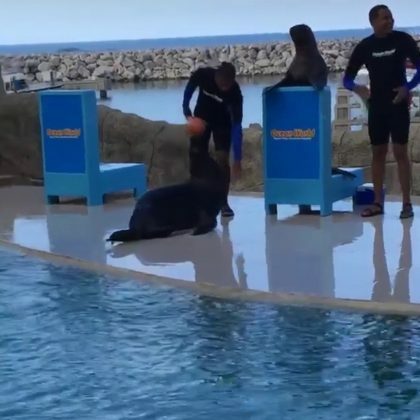 Ashanti﻿ was impressed by a seal’s performance skills while at Ocean World Adventure Park, Puerto Plata in October 2016.